June is Immigrant Heritage Month, a national month that uses storytelling to highlight immigrant communities. This year, the Free Library of Philadelphia is partnering with the city’s Office of Immigrant Affairs to feature a month of programming and events centered on standing together with Philly’s immigrants and how our stories allow us to connect with each other, despite differences in background and culture. The Free Library of Philadelphia is a welcoming and inclusive space and strongly believes in promoting understanding and community engagement. All 54 of our libraries are a safe haven for individuals of all ages and backgrounds, providing homework help, ESL classes, supportive job-search assistance, and much more. 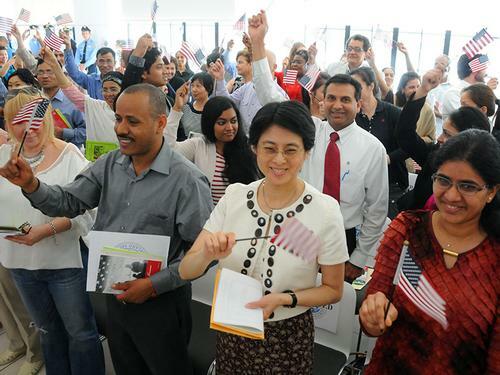 We offer a wealth of foreign-language materials available for checkout, have developed an innovative ESL cooking curriculum—Edible Alphabet—and have well established partnerships, both locally and nationally, that support services to new Americans. The Free Library stands with Philly’s immigrants because it’s who we are—it’s in what we do, each and every day. 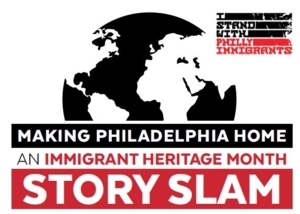 On Tuesday, June 5, at 6:30 p.m., we’ll kick things off with a special Immigrant Heritage Month story slam taking place in the Montgomery Auditorium of the Parkway Central Library. This event will feature multiple performers in a variety of media whose stories highlight the different ways we’ve made Philadelphia home—even if we are not "immigrants." For those interested in learning more about the refugee experience in America, the Philadelphia City Institute Library will host a panel discussion at 6:30 p.m. on Monday, June 11. Hear about the historical and current day perspectives on the refugee experience from featured speakers Agozino Emmanuel, a former journalist in his home country of Nigeria, and Youssef Abbara, an engineer in his home country of Syria. 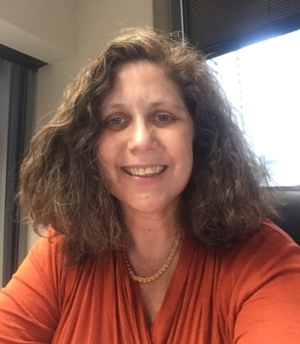 The panel will be moderated by Cathryn Miller-Wilson, Esquire, Executive Director of HIAS Pennsylvania. We’re also excited to announce the debut of the library’s World Traveling Trunks, cultural themed toolboxes packed with books, music CDs, and other resources that celebrate and explore cultures from around the globe while enriching our local communities throughout Philadelphia. Andorra Library, Overbrook Park Library, Wadsworth Library, Independence Library, Queen Memorial Library, and Fumo Family Library will all be hosting World Traveling Trunks events. Other events include bilingual storytimes, film screenings, resource fairs, writing workshops, dance performances, and so much more! Curious about what might be happening at a library near you? Just search our calendar using the keywords “Immigrant Heritage Month” to stay up-to-date on all our programs and events. You can also be an active participant by sharing your story on social media with the hashtag #IStandWithPhillyImmigrants. the Free Library of Philadelphia is partnering with the city’s Office of Immigrant Affairs to feature a month of programming and events centered on standing together with Philly’s immigrants and how our stories allow us to connect with each other, despite differences in background and culture. Add a Comment to Celebrate Immigrant Heritage Month!